I would never lie to you, especially about my recipes. These peanut butter cookies are delicious. I think they taste exactly like the ones you make from pre-packaged dry mixes. I know, three ingredients? Yes, these only take peanut butter, egg whites, and sugar or sugar blend. These bake up like a regular cookie, and you can leave them soft or make them crunchy. These are beyond easy to make. No mixers required. These will be my go-to peanut butter cookies from here on out. You can’t beat the ease and taste of these cookies. This recipe is so simple, you won’t believe it. The first step is to add all your ingredients into a bowl together. 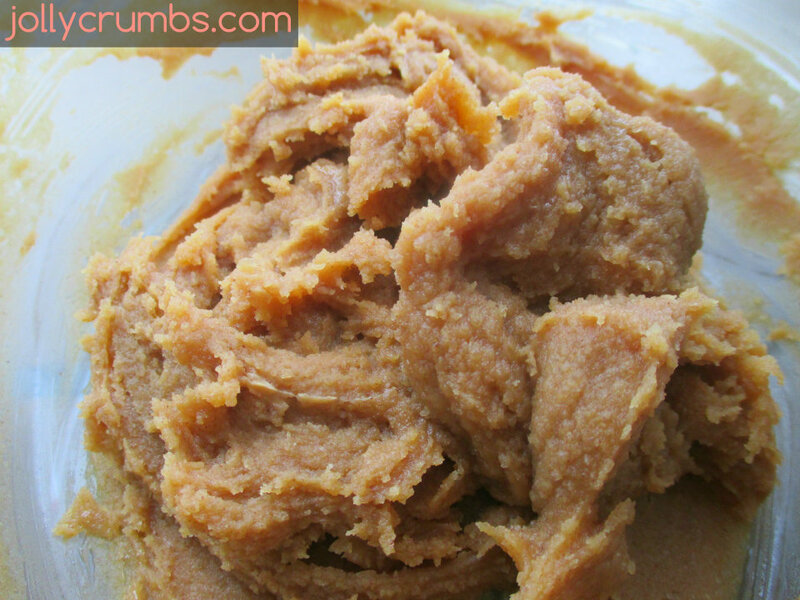 I used all natural, smooth peanut butter. However, you can use any kind you’d like. I also used Truvia baking blend sugar. It’s a new sugar substitute I’m trying out, and I love it! 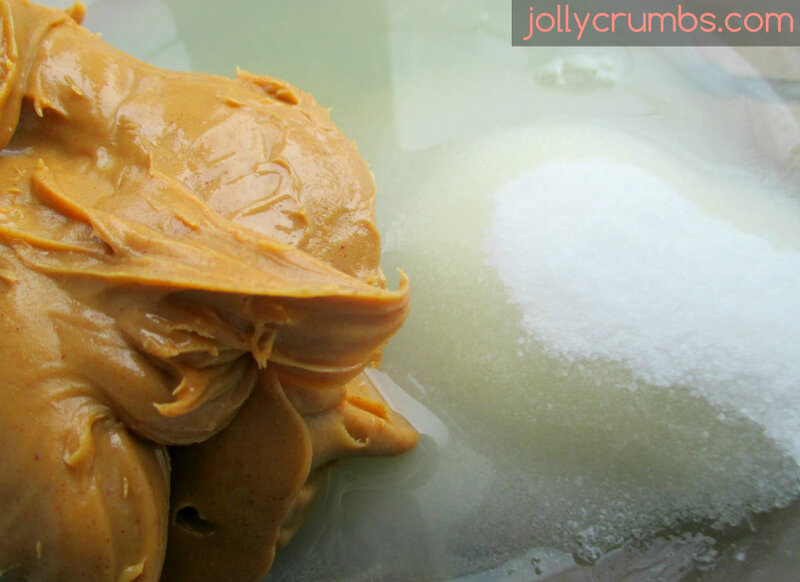 You can also use sugar in place of the Truvia. I included the substitutions below the recipe for that. I also used liquid egg whites, but feel free to use a whole egg if you prefer. Stir all the ingredients together until well blended. No machines required for this step. I just used a regular spoon to mix this together. It seems liquid at first, but a nice dough does start to form once you keep stirring. It only takes a couple minutes at most to whip this together. Roll into roughly 1 inch balls and place on the prepared baking sheet. You can do larger or smaller cookies, it will affect the bake time though, so just keep that in mind. If the dough is too soft or sticking to your hands, you can pop it into the refrigerator for a little while to firm it up. Press a fork down the center of the ball to flatten it. You can make these as thick as you want to. My cookies were less than a 1/2″ thick. Thickness is totally up to you on this. Press the fork the other direction to form a crisscross pattern on top of each cookie. Bake for 10 to 12 minutes, less time for a softer, chewy cookie and more time for a crunchier one. Let them cool for a couple minutes on the baking sheet and then transfer them to a cooling rack to cool completely. These are good. Better than good, really. These cookies are delicious. I didn’t really share these, and I’m not afraid to admit it. I ate pretty much every single cookie. I baked these a bit on the softer side, which is what I prefer. It’s hard to believe these cookies don’t have any flour, oil, or butter in them. Normally “gluten free” has a stigma of being flavorless and gross. Not these. 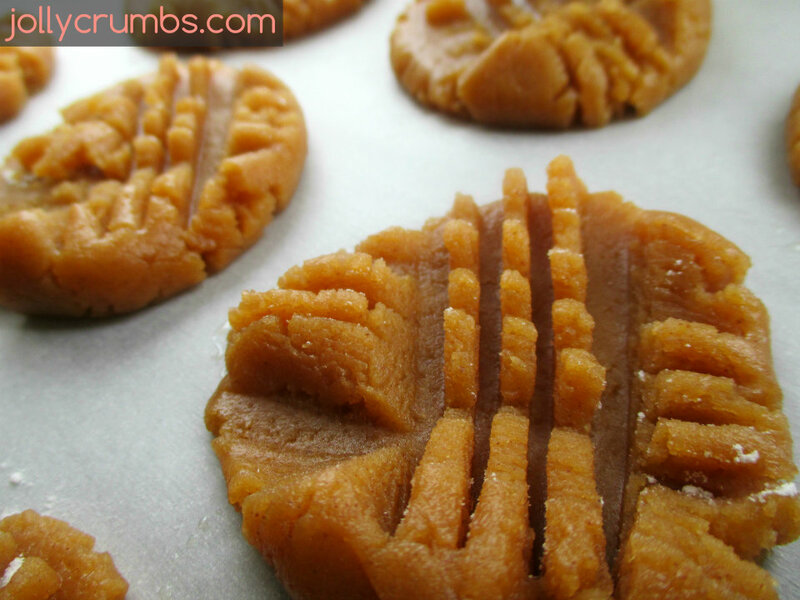 They taste exactly like a peanut butter cookie you make from the packaged mixes or during the holidays. I didn’t make these to be specifically for gluten free people. These are lower calorie and healthier than regular peanut butter cookies. 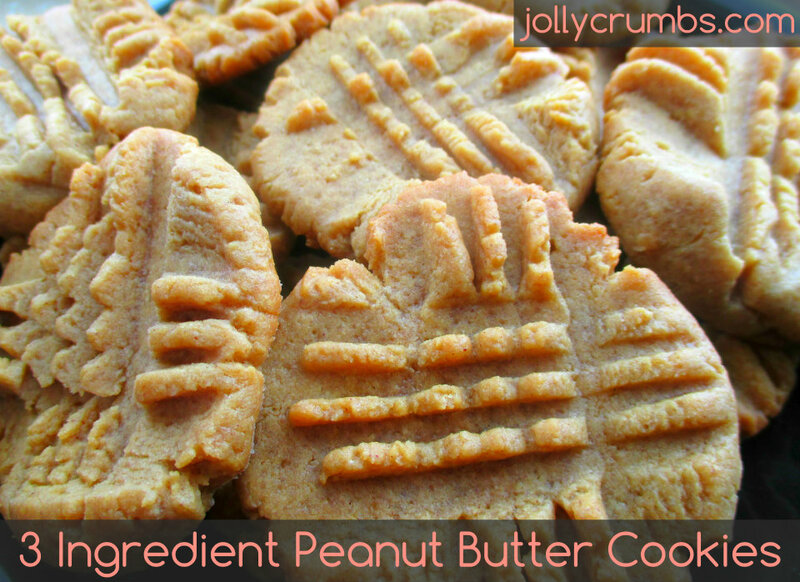 So, if you are a fan of peanut butter cookies, you will love these. 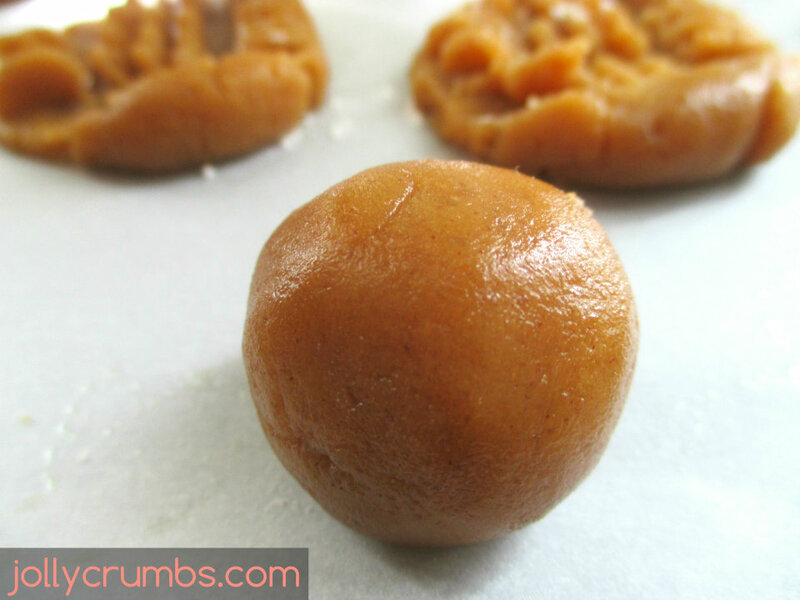 They have a perfect peanut butter flavor with a wonderful texture as well. Preheat oven to 350°F. Line a baking sheet with parchment paper, a silicone baking mat, or spray lightly with nonstick cooking spray. Stir all the ingredients together until well blended and a dough comes together. Roll into roughly 1 inch balls and place on the baking sheet. Press a fork down the center of the ball to flatten it. Press the fork the other direction to form a crisscross pattern on top of each cookie. Bake for 10 to 12 minutes, less time for a softer, chewy cookie and more time for a crunchier one. Let them cool for a couple minutes on the baking sheet and then transfer them to a cooling rack to cool completely. I dipped my fork in flour to keep it from sticking to the dough when I was pressing it down in step 3. This is optional for you if your dough does not stick to the fork. You could refrigerate the dough before if you want to make it firmer to work with. The dough didn’t stick to my hands, just to the fork. You can also roll the balls in granulated sugar if you would like more sweetness and crunch. Really? No flour? I love easy recipes!